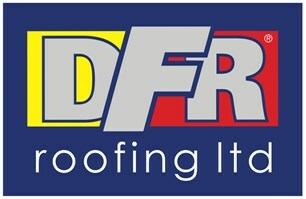 D F R Roofing Ltd - Roofer based in Plymouth, Devon. Hello, and thank you for considering DFR Roofing Ltd for your roofing requirements. As a locally based, award winning company operating for over 30 years, and employing locally skilled roofing technicians, we can assure any of our clients of a professional and personal service, no matter what size of roofing works you may require. Being long standing members of the NFRC (National Federation of Roofing Contractors), accredited to the Competent Roofer Scheme (allowing for self-certifying Building Control requirements), and with quality, safety and service at the forefront of our business model, DFR Roofing should be a branded name to be proud of when partaking works on your property. We would like to think we can provide exactly the service you expect, and would be happy to hear from you by contacting any of our offices and speaking to our friendly staff. Thank you for your potential custom.